ONLINE RESOURCES If you search for "Alessandro Anzani +aviation", using the Google search engine, (1-8-12), you will find about 8,560 links. You will find this really wonderful resource at the top of the listing. If time permits, you will want to sample some of the other links. Most of them are in Italian, but a machine-translation is usually available directly from the listing. the internet home for all things Anzani." "Inside you will find a History of the British Anzani Company, a biography of Alessandro Anzani, a Picture Archive of Anzani related products, a Document Archive with road tests, manuals and articles for you to download or view pictures of Anzani engines still in use today in our Owners Gallery. We have a comprehensive selection of internet Links to Anzani related sites or if you are seeking information on Anzani products please use our Feedback form or try the Anzani Forum message board and we’ll try our best to find answers to your questions." You will find the illustrated biography of Anzani, which is located in the "Anzani History" section, to be especially valuable. It is well written and the photographs are very nice. HISTORY OF THE GHEDI AERODROME Although there is only a brief reference to the activities of Anzani, this article is important to anyone wanting to understand the development of aviation in Italy. The following paragraph was extracted from the article so as to highlight the many pioneer aviators who played a part in its history. It is amply illustrated with seven photographs. I think you will want to read the whole article which details the history from 1909 to 2002. 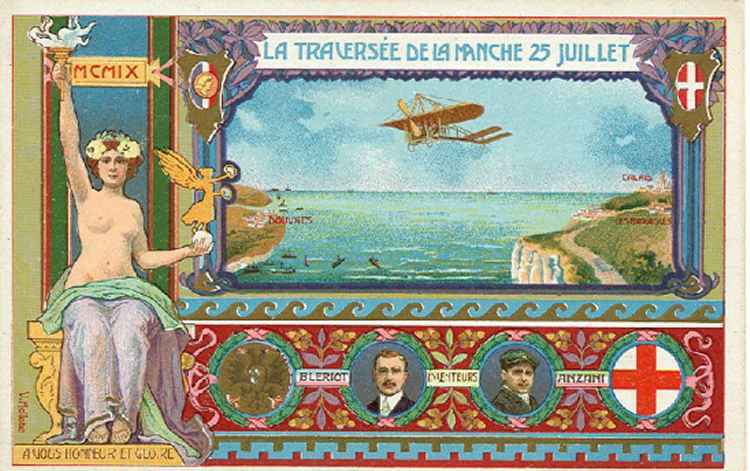 "The beginning of the flying activity in Ghedi was in 1909 when in the moor on the border with Montichiari was organized an airshow of international importance which saw the participation of airmen such as Wright, Calderara, Cobianchi, Cagno, Rougier, Curtiss, Moucher, Lebland, Anzani and Blériot, who won the "Brescia Grand Prize" flying 50 Km. 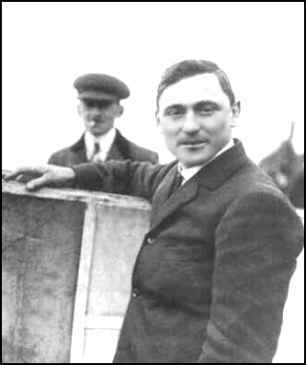 in 49.24" with a biplane aircraft, while Curtiss won the height race reaching 92 metres. 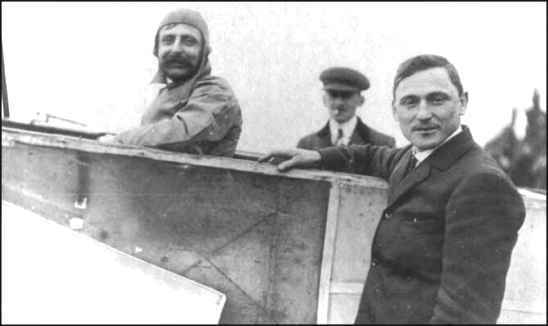 Among the spectators were numbered the Princess Letizia Savoy Bonaparte, Franz Kafka, who acted as foreign correspondent for a newspaper, and Gabriele d'Annunzio, who flew as passenger on Wright's airplane and that would later make of aviation one of his greatest passions (very famous remained his "Flight over Vienna")." via email from Don Fiore - 9-1-03 In addition to Ghedi, other very early but important Italian airfields included Centocelle (Rome) where Wilbur Wright gave his first Italian demonstration), Gioa De Colle, & Aviano (still used today by the United States). di Giorgio Evangelisti The article on the British Anzani Archive website is ©Giorgio Evangelisti and is taken from his book Gente dell'aria 4 published by Editoriale Olimpia, Firenze. ISBN 88-253-1602-X 1996. The book, in Italian, of 360 pages, is available from the publisher. To access their site, click on the name above. ANZANI'S GRAVE You will find a very nice biography of Anzani on this page of the Find A Grave website. Also, there are five important photographs which were contributed by "amy7252." You can access the page by clicking on the title.